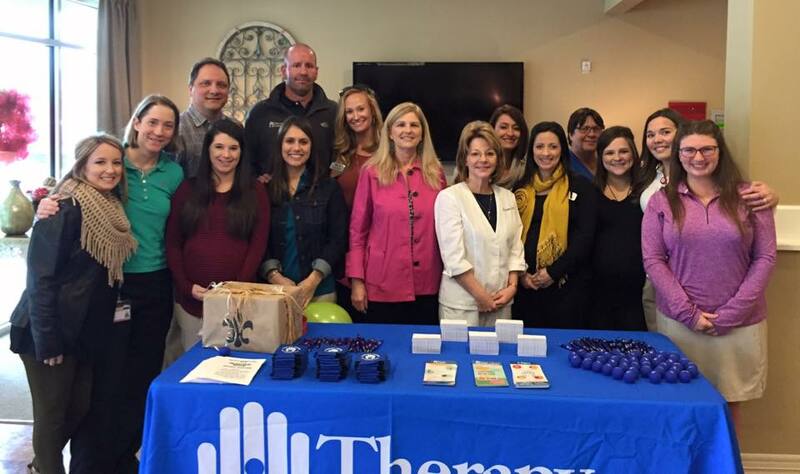 Recently, Hessmer Nursing Home underwent a complete renovation of their 5-star facility, and with it came a brand new therapy gym. The gym is a little over 1,500 square feet complete with a washer and dryer, full kitchen, bathroom, and two showers. “The kitchen and showers are definitely a highlight in the new gym,” says Natalie Drouin, Speech Languauge Pathologist. “All of the new amenities are great for my work with the patients. 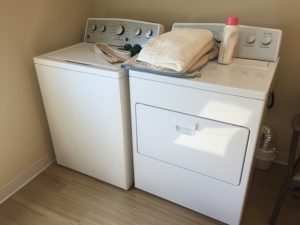 In occupational therapy we work on activities of daily living, so it’s wonderful to be able to work on taking a shower, cooking a meal, and doing laundry with our residents,” explains Catherine Brooks, Occupational Therapist. 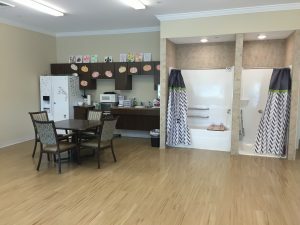 The therapy staff are inspired by the way that the residents love participating in therapy with all of the functional amenities like ironing, washing dishes, making coffee and cooking. “Along with doing these functional activities, we also work with the residents to make the monthly and weekly calendar, decorate the gym according to the seasons, and even plant flowers in the facility’s new garden,” says Roshelle Scallan, Physical Therapy Assistant. 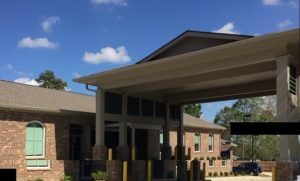 Hessmer Nursing Home was originally built in 1963 with seventy-two beds. Currently the nursing home has ninety-two beds, consisting of sixty private rooms and sixteen semi-private rooms. It has expanded from 20,000 square feet to 50,000 square feet. To learn more about the services we provide and our partnership with nursing homes, visit our website.